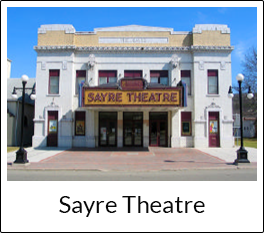 * Preserving Bradford County's historic theatres as venues for performances, community events, and movies. BCRAC operates Bradford's 3 historic cinemas. Click a theatre to find what's showing & more info. In 1988, the Bradford County Regional Arts Council (BCRAC) hired Brooks Eldredge-Martin as its first employee and Executive Director. 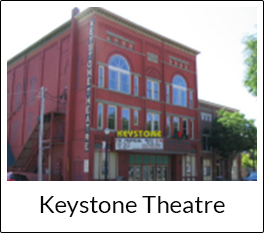 In the period 1988 to 1995, the BCRAC purchased, renovated and began operating the only three historic theatres remaining in Bradford County. 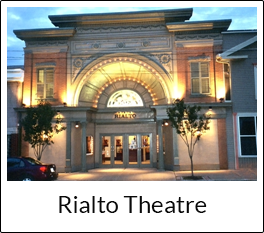 As a result of a 1996 long-range plan the BCRAC expanded its arts and cultural mission, "to promote arts and culture in our region" by becoming a Partner with the Pennsylvania Council on the Arts for re-granting and implementation of arts in education programs serving six counties in the Northern Tier. In 1997, the BCRAC began to focus on arts in education programs for early childhood. The BCRAC formed the Learning Early Network, which was selected as a "Best Practice in the Arts in Pennsylvania" in 1999. On June 3, 2007 the BCRAC received the first-ever Americans for the Arts - Arts in Education Award in Las Vegas. In 2000, the BCRAC became a Partner with the Pennsylvania Council on the Arts for re-granting funds in support of public, community arts activities. BCRAC now implements this program throughout seven counties in the Northern Tier. In 2012, the BCRAC experienced a leadership change with the retirement of long-time Executive Director Brooks Eldredge-Martin. This was followed closely by long-range planning and evaluation of the organization.